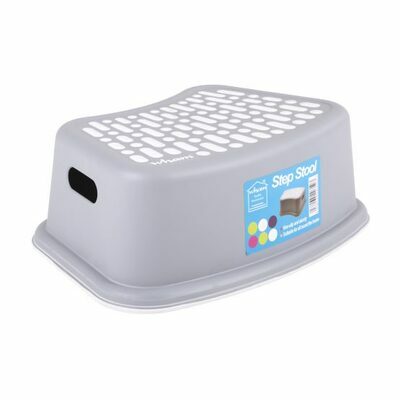 Make the journey to complete toilet training a breeze with our Anti-Slip Step Stool. Designed to sit flush to the toilet base and finished with blue anti-slip rubber on the base and top for heightened safety, this lightweight stool can easily be transported by toddlers while storing away in any cupboard or simply beside the toilet. The smooth surfaces make it easy to keep clean and sanitise on a regular basis while the sturdy design can hold up to 150kg. Keep your step stool clean and hygienic after every use with our range of Disinfectant Wipes available online now.